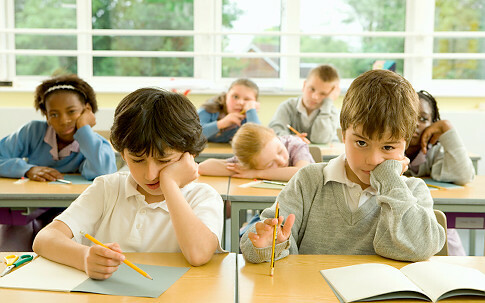 When it comes to your kids, achieving some form of enthusiasm for homework is usually very difficult. After a long day at school, children rejoice at the sound of the final bell, as this means they can come home and forget about learning for a few hours. Unfortunately, if you want your kids to stand the best chance of success in life, you simply have to ensure they continue working in the evening. This not only increases their understanding of whatever subject is being covered, but it also instills a strong work ethic that is essential for entering the working world. Teachers often set small tasks for children to complete in their own time, and as a parent your role is to make sure they complete them in a timely manner. Nowadays there are many learning aids that you should consider utilising. Online websites like http://www.mathsdoctor.co.uk/ can be the perfect starting point. This guide will fill you in on the top methods for ensuring your kids stand the best chance in life. As children, we often find it challenging to get our heads around the real world. I know from experience that many people receive a shock when they enter further education or employment because they’ve never been properly prepared. So if your child is less than devoted to their homework, try explaining why they should do it, within the context of a bigger picture. Perhaps if they understand just how valuable all this work is, and just how much it will benefit them in the future, they’ll be more inclined to apply themselves. How many times have you heard a child say “you just don’t understand”? Plenty I imagine, so make sure you let them know that you do. Tell them that you remember what it was like to have all this homework and that you weren’t fond of it either. As with most things, a little sympathy goes a long way. If your child is refusing to do their homework, don’t shout at them or threaten them as this will only work in the short term. You’ll find they respond far better to encouragement and rewards than the withdrawal of privileges. Also, make sure you understand the task your child is trying to perform. If they’re having to answer questions about biology, try to buff up on the subject so you can help them with any issues without having to look for the solution online. Sometimes kids will flat out refuse to do homework, and if this happens with your child, ensure you leave them to deal with the consequences of their actions. It may well mean that teachers punish them for not completing it, but this was their choice and they must face up to their actions. Often you’ll find that children will be much more inclined to finish their homework after they realise that break times will be restricted if they don’t.